Polar X-Press mobile ice cream shop. Serving frozen fun! We're very different than other ice cream caterers! Why settle for prepackaged ice cream? We can help to make your event special when we bring freshly made ice cream treats to your location in our unique vehicles. * Delicious soft serve cones. Choc/vanilla and twist. * Freshly made ice cream sandwiches, and more! We can serve hundreds per hour and accommodate multiple shifts and locations. * Sales promotion or grand opening. * Graduation Parties and family reunions. ** Any event to say thank you or job well done to friends, family, clients and customers. Polar X-Press can handle small or large events. Call us for a quote. Due to demand and larger event requests we have added a new frozen dessert truck to the Polar X-Press family. With the addition of this truck we can serve 400-600 per hour depending on the menu selected. 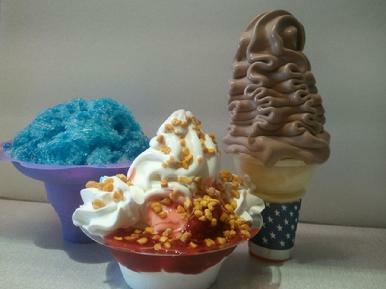 With Hawaiian shaved ice and novelties we can serve over 1,000 per hour! Call us today to discuss your event! Please fill out the form below to tell us the details about your event. We strive to provide a fun unique atmosphere and our units arrive on time at your event clean, fully stocked and ready to serve your guests. We're here to make your event memorable! Our schedule fills quickly, call us now to book your event!! 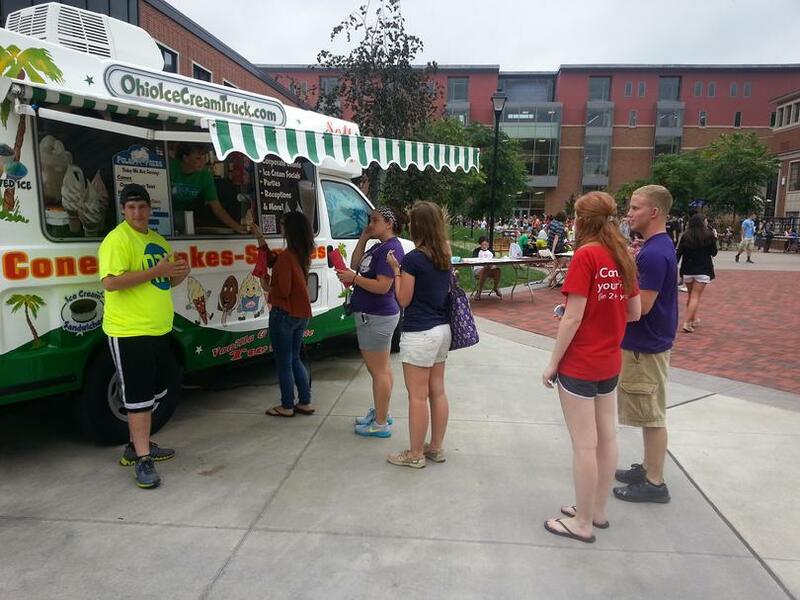 Ice cream party in Ohio? Call us! See Polar X-Press in a Local Commercial! Minimal space required for us to set up. We can assure you a very memorable event!! Serving frozen fun! Sundaes, cones, milkshakes, shaved ice and more!